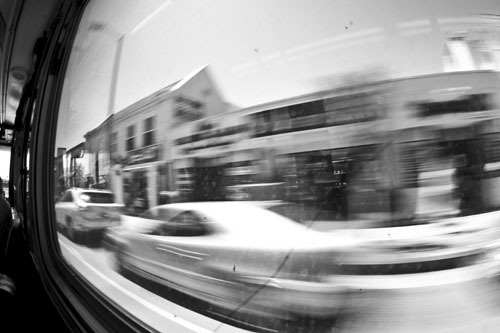 Screenshot from the UCLA Transit Photos project. Screenshot taken March 13, 2011. As announced by LA Streetsblog, UCLA researchers recently launched a website of photos taken by transit riders around Los Angeles that I highly recommend checking out. The site, called “The Zen of Public Transit: Using Visual Ethnography to Understand the Transit Experience” is more than just The Source’s weekday “Art of Transit” feature on steroids. As suggested in the project’s name, the creators of “The Zen of Public Transit” at UCLA’s Institute of Transportation Studies used a research method called visual ethnography to better understand how people experience public transit throughout the duration of their trip. According to the project’s accompanying report, this is because a lot of transit-related research focuses on the Ws–the who, what, when, why of travel — but not on the how. And as you’ll discover by exploring the website, the “how” is fascinating.Thirty-one people submitted photos of their transit journeys between May and June 2010. In the report, the researchers noted that people took pictures to document signage, graffiti, Transit TV and their experience to and from a transit station. What I think is even more telling than the photographs (many of which are “Art of Transit” worthy, like the one below) are the captions that accompany them. There is virtually no spray paint graffiti to be found anywhere on the rail system. Perhaps this is because law enforcement is on the lookout for this type of vandalism, or maintenance workers are quick to remove it. Scratch graffiti, on the other hand, is prevalent. It is more permanent, and is visible on most surfaces on board the trains. Unlike spray paint graffiti, which requires a spray paint can, virtually any sharp objects can be used, including ones that are small, easily concealed, and inconspicuous. Sometimes I pretend we’re racing the trains. Sometimes we beat them to the next station. Note: I also work for UCLA, but not for the Institute of Transportation Studies.